Please find attached here with the Press Release by the Office Consulate General of Nepal/Permanent Mission of Nepal to the United Nations regarding the continuation of issuance of hand-written passport for the brief interim period until the issuance of MRP. As in the past, we highly appreciate your kind assistance to circulate this notice to the wider Nepali community around tristate areas. Dr. Rajendra Pradhan, prominent Nepali-American community leader and physician, was one of the six distinguished South Asian community leaders honored by William C. Thompson, Jr., Comptroller of the City of New York, at a special event organized at the Flushing Town Hall. Dr. Pradhan received this award in recognition of his nearly 40 years of distinguished service in the medical field in addition to his leadership in strengthening South Asian-American communities in New York and beyond. Please also see the NepalNews.com story on Dr. Pradhan. 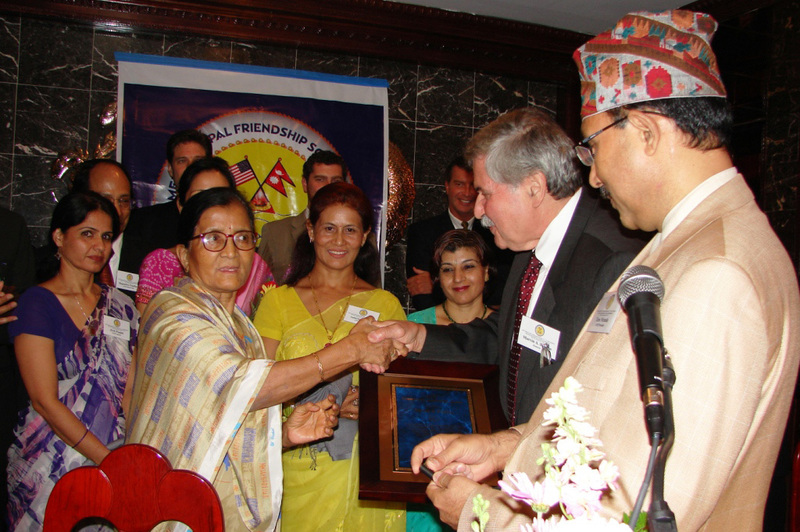 By admin on June 27th, 2008 and tagged rajendra pradhan, nyc comptroller, anfs, nepali-american. The America-Nepal Friendship Society (ANFS) celebrated its 25th anniversary and the Nepali New Year 2065 cultural program, organized by ANFS. The New Year program included beautiful Nepali dances, music, and traditional Nepali costumes representing various Nepali communities. The event was attended by about 300 local Nepali community members and friends of Nepal, including His Excellency Madhu Raman Acharya, Permanent Representative, and Mr. Madhuban Poudel, Deputy Permanent Representative of Nepal to the United Nations, Mr. Kul Chandra Gautam, former Assistant Secretary General of the United Nations, leaders of various local Nepali Community Organizations. ANFS also presented Distinguished Service Award to Mrs. Subarna Chhetri and Ram Nagarkoti for their outstanding contributions to the Society. By admin on May 25th, 2008 and tagged nepali new year, 2065, 25th anniversary. We hope you were present this past Saturday on September 29, 2007, for the ANFS Annual Awards ceremony. But if you were unable to attend, please enjoy these photos and the attached press release. By admin on October 2nd, 2007 and tagged awards,, anfs,, press, release,, nepal. Enjoy the following article about recent ANFS activities and awards. Foreign Minister Sahana Pradhan has attended programmes organised by Nepali Diaspora in the US at the sidelines of the UN general assembly. According to the UN mission in New York, Pradhan attended a discussion programme on US–Nepal Relations focusing on ‘expectations and realities in a period of transformation’ organised by America-Nepal Friendship Society (ANFS) on Sunday. Addressing the function, Pradhan expressed satisfaction over the US support in areas of trade, tourism, infrastructure development, governance, human rights, and democratisation process in Nepal. Minister Pradhan commended the role of the Nepali Diaspora in mobilizing active political support in the US during the peaceful democratic movement in Nepal and also in infusing dynamism in Nepal-US relations. Minister Pradhan urged Nepal ‘s development partners including the US for more generous assistance for the reconstruction of economic and physical infrastructure demolished during the conflict. 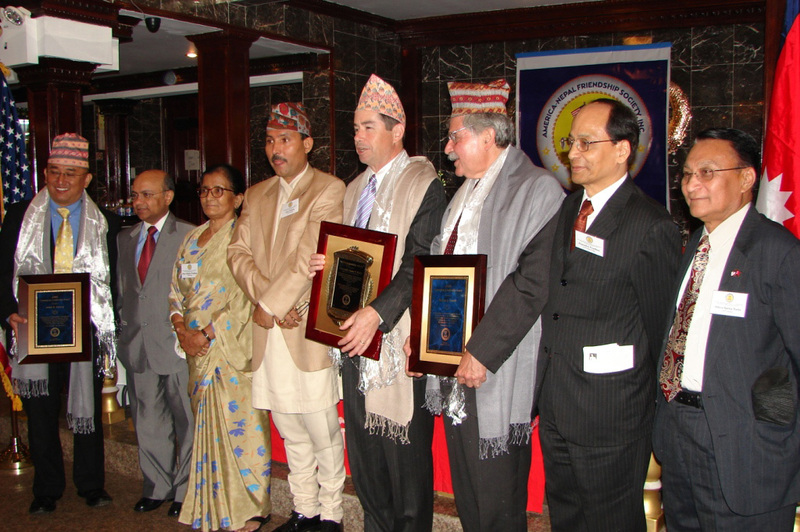 On the occasion, Pradhan gave away ANFS Friendship Award to member of the US House of Representatives James T. Walsh and ANFS Community Leadership Award to Marvin Brustin, Honorary Consul General of Nepal to Chicago and Ashok Gurung, Senior Director of India China Institute at The New School in New York. By admin on October 1st, 2007 and tagged foreign, minister,, nepal,, anfs,, community,, leadership. The America-Nepal Friendship Society condemns the killings in western Nepal. ANFS calls on all parties involved to restrain from violence. By admin on October 1st, 2007 and tagged nepal,, violence,, western, nepal,, condemnation. The ANFS announces its Friends and Community Leadership Awards honorees for 2007. Please see the announcement PDF for more information. By admin on September 17th, 2007 and tagged anfs,, friends,, community, leadership,, awards,, honorees. The interim constitution of Nepal for the Nepali year 2063 is now available (in Nepali). By admin on December 28th, 2006 and tagged constitution, nepal, nepali, interim, year, 2063. The ANFS welcomes with optimism the forward looking and historic comprehensive peace agreement signed on November 21, 2006, between the Nepali government and the Communist Party of Nepal (CPN-Maoist). We applaud and commend both parties for committing to a peaceful solution through which the over a decade long conflict which has caused so much turmoil and upheaval in Nepal can be resolved. Also, be sure to read the historic Nepali newspaper headlines from Kathmandu. By admin on November 22nd, 2006 and tagged peace, nepal, cease fire, agreement, cpnm.